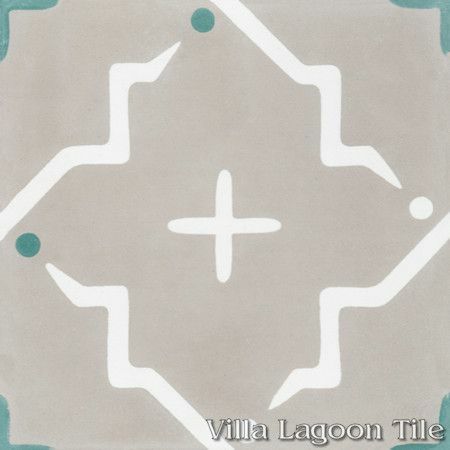 Our new original "Ozaz" cement tile design is modern and quirky. 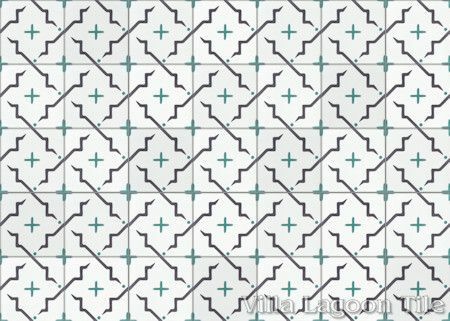 Simple lines form larger elements. You tell us... is it a lightning bolt, or a heartbeat? 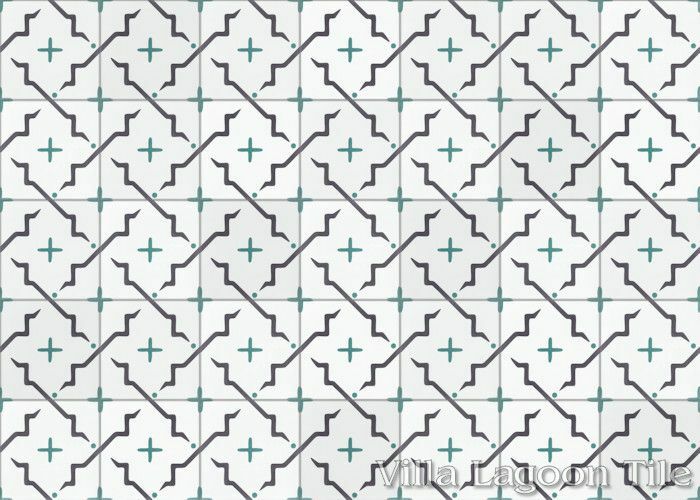 A cross, or a plus? 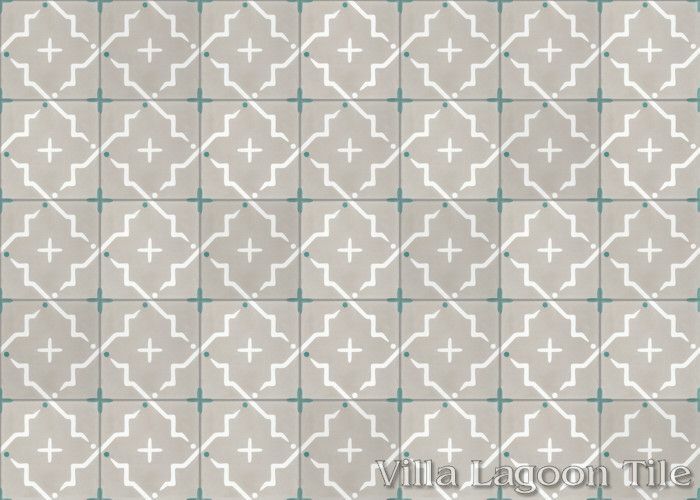 Ozaz September, Lot SB-D02, In Stock Clearance Sale! 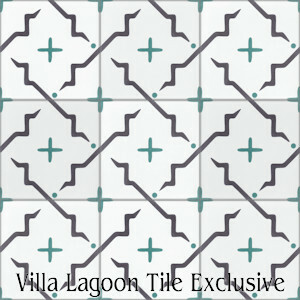 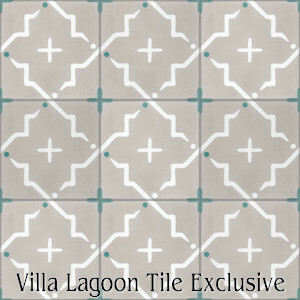 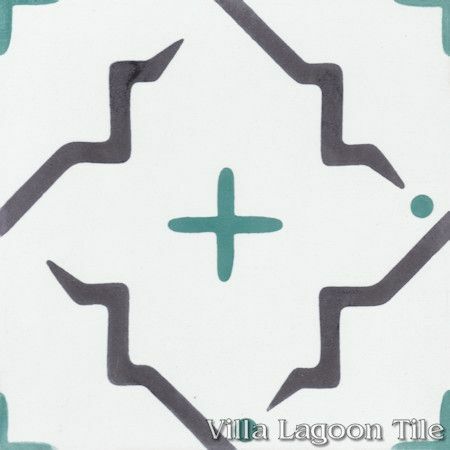 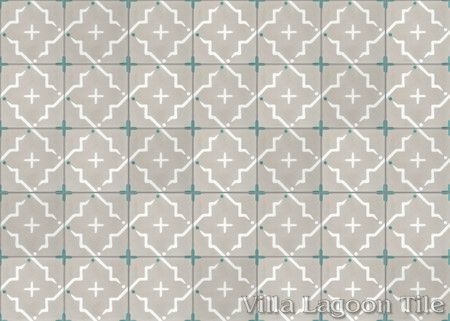 Villa Lagoon Tile's "Ozaz" cement tile pattern using White, Excalibur, and Jade from the South Beach Palette.